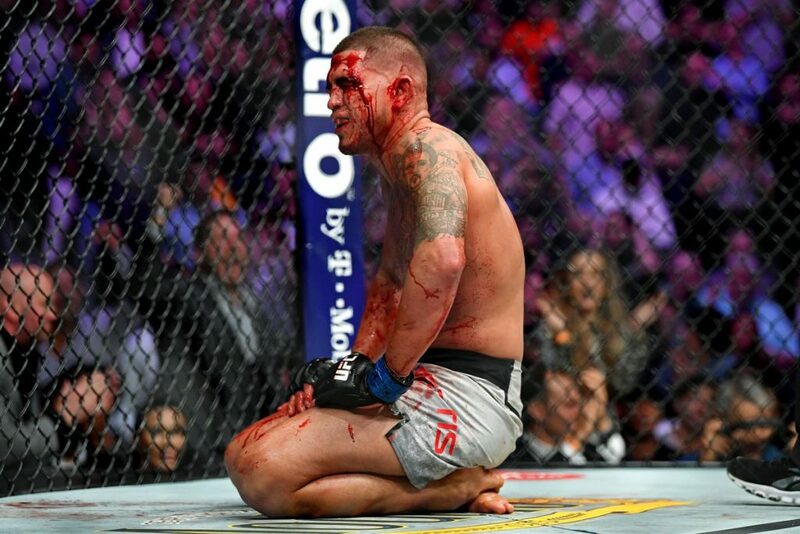 Duke Roufus on decision to stop Anthony Pettis fight: "When you're a wounded animal in there it's easy to get taken out"
Aside from the obvious foolishness that occurred between Conor McGregor and Khabib Nurmagomedov after UFC 229 on Saturday night, the co-main event between Anthony Pettis and Tony Ferguson was an absolute classic as the two former lightweight champions went toe-to-toe and delivered a three-round slug fest. Unfortunately for Pettis, in the third and final round his corner put an end to the fight as Pettis had injured his right hand in the second round, thus giving Ferguson a TKO stoppage for his 11th straight victory. The loss further adds to Pettis’s already inconsistent record since returning to the UFC’s 155 pound division. While some MMA fans will criticize Pettis’s head coach Duke Roufus decision to stop the fight over something that may not seem that serious of an issue, but if you ask Roufus himself, he has zero regrets in his choice of calling the fight to a close at UFC 229. To Roufus, the Rocky movie culture of it’s not over til it’s over mentality in MMA doesn’t do fighters any favors as far as their well being is concerned. When speaking with Luke Thomas on the The MMA Hour yesterday afternoon, Roufus explained that Tony Ferguson’s fighting style would make it difficult for anyone to compete with, especially if your hand has been fractured. Roufus then reported that Pettis suffered a fracture behind his knuckle and will see a specialist Tuesday to see if he’ll need to have required surgery. Being a former competitor himself in combat sports, Roufus knows the feeling of waking up in pain daily after having to press through injuries in his career and wants the future to be much different for his fighters. ”The medical care that was given at my day to fighters was garbage,” Roufus said. “I have so many bad injuries I’m living with, I wanna help guys and women I train not live the life I live because I live in pain daily. Surprisingly, Pettis was not angry at his coach for ending his bout. As matter of fact, once the fight was over, Pettis told Roufus this was the most fun fight he’d ever had inside the octagon. Should he have to come to a decision like this again down the road, Roufus says he’d probably do the same thing as he realizes the chances of winning a fight are extremely low, especially if fighters get injured.